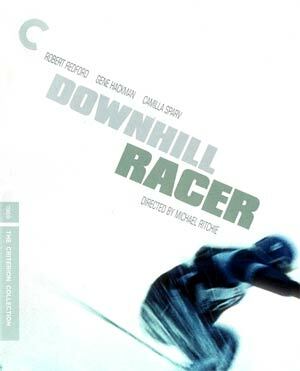 Downhill Racer is a well done crafted, and fantastically shot (the first-person view from the skier is exhilarating), sports movie with excellent performances by Robert Redford and Gene Hackman. 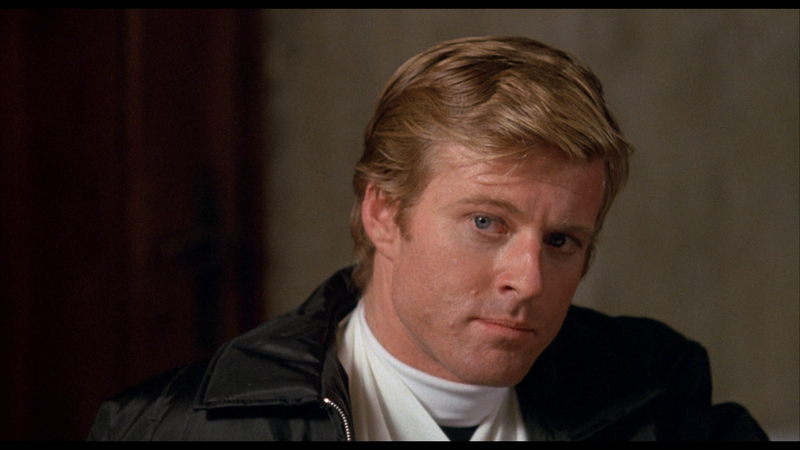 David Chappellet (ROBERT REDFORD) is a ruthlessly ambitious skier competing for Olympic gold with an underdog American team in Europe. Eugene Claire (GENE HACKMAN) provides tough support as the coach who tries to temper the upstart’s narcissistic drive for glory. This release comes with a fold-out essay booklet and the disc is housed in Criterion’s standard clear HD keep case. Redford and Salter (33:48) is an interview conducted in 2009 where the pair, Salter is the screenwriter on Downhill Racer, discuss the film’s origins and production. Coblenz, Harris and Jalbert (29:51) is another set of interviews, also recorded in 2009, with production manager Walter Coblenz, editor Richard Harris and technical adviser ski double, and cameraman Joe Jay Jalbert discuss the making of Downhill Racer. Michael Ritchie at AFI (1:01:29) – From 1977, Director Ritchie gave a seminar at the American Film Institute in which he discussed his career in film and television. These are audio excerpts from the seminar. How Fast? (12:25) is a featurette from 1969, used to promote the film and includes some rare making-of footage. 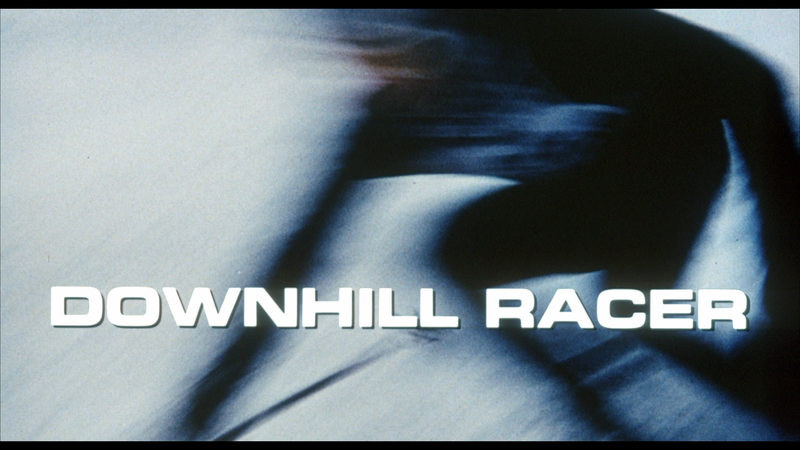 Downhill Racer skies onto Blu-ray through Criterion Collection presented in its original 1.85 widescreen aspect ratio and a 1080p high-definition transfer. All in all, it’s not a bad looking transfer with good color array throughout and detail appears sharp though there were a couple shots that had some kind of yellow spots but for the most part this looks like a nice restoration job as there were no other major instances of dust marks, which can be evident in scenes with white backdrops for which there are plenty that take place on the ski slopes, or aliasing. The movie comes with a solid LPCM Mono track offering clear dialogue levels throughout and although some of the other sounds, like the downhill skiing and on-screen noise are a bit flat and at times tops out, it’s still a nice upgrade over any of the previous releases. 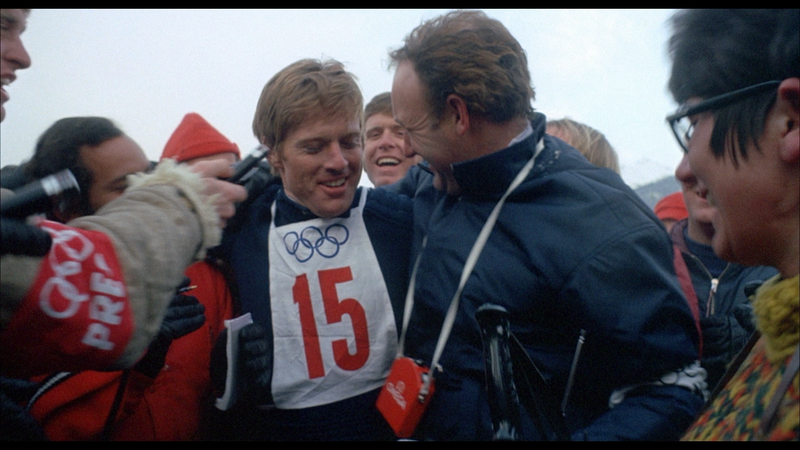 Overall, Downhill Racer is a well done crafted, and fantastically shot (the first-person view from the skier is exhilarating), sports movie with excellent performances by Robert Redford and Gene Hackman. The Blu-ray released by the Criterion Collection isn’t the best to come from the company but still has great video and audio transfers and a fine selection of bonus material.